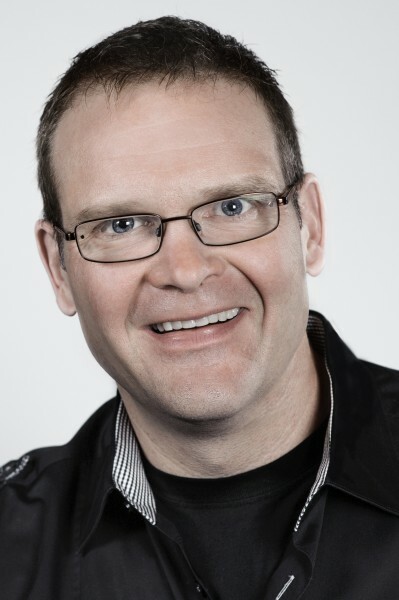 Perry Noble, the 20-year veteran of his own church plant, and senior pastor of largest church in South Carolina, was fired on July 1, and the news was released to the congregation in a statement today. At the 9:15 am service at the main campus of NewSpring Church in Anderson SC, this morning executive pastor Shane Duffy read the prepared statement outlining the fact of the firing and the reasons therefor. The issues were apparently a problem over many months, and the elders had met with Noble to address them several times, as per the process outlined in Matthew 18. The issues were "ongoing" and of "continual concern." However, Noble "chose not to address these ongoing issues and didn't take the necessary steps toward correcting them..."
The firing was laid under the verses in 1 Timothy 3 regarding qualifications as pastor/overseer. Duffy said that though there are many who are curious as to details, no further details would be forthcoming as they would not be helpful to the Noble family or the church. God outlined standards for Christians in holy living. He laid out standards for behavior for men, women, families, youths, and children. He also laid out standards for pastors, and these are qualifications for the job. 1 Timothy 3 begins with a warning- it's not going to be easy. beautiful, as an outward sign of the inward good, noble, honorable character; good, worthy, honorable, noble, and seen to be so. A man who is all of those things is above reproach. No it's not easy but it is achievable, as witnessed by the thousands and millions of congregants all across the world who see their own pastors meet these qualifications daily. Though the news about this unfortunate debacle has focused on the alcohol problem Noble apparently has been having, I would like to point out that the first issue the Executive Pastor mentioned was "his posture toward his marriage". I would also like to remind the reader that Noble failed to correct or even take steps to work on these problems, belying an unrepentant heart, no matter what Noble put in his own statement and will say in the future. Perhaps he thought he was too big to fire. I'd like to further point out that though it is good that the elders took the Bible's moral qualifications seriously, for too long they ignored the Bible's doctrinal commands for pastors to "be able to teach" and to teach what accords with sound doctrine (Titus 2:1). Noble has not taught sound doctrine for a while. For example he has been giving sermons based on personal revelations, he opened the Easter service several years ago with the demonic song from AC/DC Highway to Hell, he's been mentoring and promoting Steven Furtick, a known idolater and blasphemer, and displaying other troubling doctrinal errors. Perhaps most troublesome is Noble's refusal to submit himself to his peers and elders who were trying to help him correct his behavior. Rebelling against authority indicates a sinful heart and an impenitent attitude. This was seen even as long ago as 2009 when Noble was called out for the Easter Service Highway to Hell service, and Noble said not only was he not sorry but he would do it again, and better. Sadly these kind of behaviors were seen in other fallen mega-church pastors such as Tullian Tchividjian, Mark Driscoll, and Bob Coy. Paul goes on in his letter to Titus about why it's important to be a noble overseer. And there is the rub. Overseers who fail the biblical pastoral qualifications doctrinally and/or morally, bring reproach into Jesus and give the devil opportunity to malign the faith. This is big. While I never enjoy seeing a man lose his job, and I hate that Noble and his family are in pain, I rejoice that he is removed, for the sake of the spotless name of Jesus. Jesus as the head of the church must always be lifted up as the leader and commander, the author and finisher of the faith. He leads this church. While He has given us some latitude, He does have qualifications for pastors because they are His representatives. It is not harsh to say a pastor must be removed who fails the standards. We do this every day without a second thought in secular jobs in every realm. It is good that Noble was fired. Doctrinal error is usually the first indicator of inward sin. A man can hide his drinking from his congregation, and apparently Noble did. A pastor's attitude toward his marriage can be a secret, and for Noble it was, for a while. But when a pastor preaches unsound doctrine, it's a signal that something is very wrong. That's why though firing Perry Noble for moral reasons is scriptural (1 Timothy 3:2-3), I wish churches would take doctrinal error as seriously (Titus 1:9). In fact, Noble should have been removed a long time ago. In any case, this is a lesson to pray for your pastors. This is a warning to be in the Word so that if something is amiss from the pulpit you will know it. By all means, remember that no one is immune from sin and pastors are often the first target. GOOD! That's good news to my ears! I'm personally glad his rude, crude mouth of false doctrine has been shut. I'm surprised that it even happened, given today's climate of accepted apostate teachings and celebrity pastors. I'm glad some people had the courage to do the right thing for the sake of the congregation, although its long overdue. Perhaps Mr. Noble can now find a more suitable job...outside the walls of the church, hopefully. Now if the same thing would just happen to a few more... The name of Jesus be glorified. I am also encouraged that the elders of this church have enacted the Matthew 18 model, however, I am deeply saddened that repentance was not the outcome. I pray that Perry Noble would do just that and be reconciled to Christ and submit to sound Biblical teaching. I am also praying that more churched would take seriously the qualifications clearly laid out in scripture for elders. I think you pretty much nailed it Elizabeth. This man was never qualified to be a pastor in the first place and should have been removed ages ago. Unfortunately, the two qualifications many celebrity "pastors" seem to get away with not meeting: having character above reproach and teaching sound doctrine. Frankly, I am not very optimistic for the congregation or the leadership of elders. It should not have taken 20years to notice significant doctrinal violations. I would also suspect that the Church (?) has been tainted with years of lies! On the other hand PERHAPS the Lord God may be raising up a few to set the record straight. I pray that Mr Noble will be broken and corrected by the Holy Spirit, and find TRUTH and genuine grace before it is too late! Likewise for the Church (or apostates - whatever the case is). Dangerous and spooky times ACROSS the Board (yet...the Biblical hope and signs of the times). I'm not optimistic either. Thanks for your sliver of hope that perhaps, just maybe the Lord is raising up a few who will preach the truth. Sigh. Thanks also for the link to gty. It's a good place, isn't it! While I am thankful too that they have obeyed the Lord in practicing church discipline, there's two words in the statement that are troubling: healing and support. If a pastor/elder is unrepentant when confronted with his sin, he needs to be granted repentance by the Lord. He doesn't need "healing" unless they mean it in the sense of the Lord granting him spiritual healing and a change of mind and heart. Using the word healing sounds more like psycho-babble than biblical Christianity. Secondly, he doesn't need support - it sounds like he's been getting plenty of that and look at the outcome, a hardened heart. Someone with a hardened heart needs to be gently but firmly shown the door in hopes that they will be ashamed and will turn away from sin and back to the church (and the Lord) for restoration. I agree with you completely Anonymous, especially your second point. Yes, healing, sigh. Everything is a "journey" these days, and apparently Noble's will be a "healing journey." Sigh. About the hardened heart, you are right. So many people hadn't picked up on that. He has been worked with for months, and his issues are still "ongoing", with a concerted refusal by Noble to correct or take any steps to resolving. Those are the church's words. Further, Noble said in his own statement that he planned to seek "amazing men and women" to guide him spiritually, but he's had that opportunity for months and as you said, all he got from it was more entrenchment into his sin. I predict though that he will be back soon in a pastoral capacity. I'm sorry but all of the above comments sound so judgemental of ppl that apparently have never attended NewSpring. I am a member/owner at NS - and have been a member at 2 other "Baptist" churches. I have attended many churches and personally I have found fault in all of them. I love NS for the community of people that have become my family, mentors, and friends. I am glad to have several Campus Pastors that I can go to in need. I love Pastor P and find offense on his behalf of the critism and judgemental statements being said about him. Instead of kicking him or our Church leaders in a time of distress it would be refreshing to just see you say - I'm sorry to see this happen and I will be praying for him and the church. I'm glad you love your pastor and you have a good time with all your friends at church. I'm glad you can have your needs met at several locations of your choosing. I'm sorry you found some comments to be judgmental, but sadly, Noble has been judged according to biblical standards by your own elders, and found wanting. Further, what you described is not the definition of a church. Does the pastor preach rightly? Does He explain the truth of scripture rightly divided, and oppose those who pervert it? Does he have a high view of Jesus and inspire the congregation to do so as well? Is he guarding the sheep against secular influences and inspiring them to pursue holiness? And so much more. Noble does not do those things. He is not qualified to be pastor doctrinally and morally and has failed the biblical standards many times over. You like him, I get it. You love him, I understand. We can like and love a person, but that should not color what the scriptures say about the position of overseer. "Perry Noble fired. May he get saved & the help he needs. A cautionary tale 4 immature hipster pastors. #unqualified". Yes the comments are judgmental and they were judged by the BIBLE AS WE ARE COMMANDED TO DO. God gives specific instructions to be qualified for pastor and Perry was not qualified. He is a false teacher who has taught false doctrine for 20 years. WE ARE COMMANDED BY GOD TO STAND AGAINST FALSE TEACHING AS JESUS DID AND COMMANDED US TO DO.